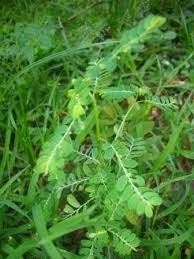 keelanelli in Tamil (Phyllanthus niruri) is a small herbal tropical plant commonly found in South India which is most preferred herbal medicine for curing jaundice. The common names of this herb are Amla, Chanca Piedra, Kidney Stone Tree, Phyllanthus and Quebra Pedra. It belongs to the family Euphorbiaceae, well known for its medicinal properties. Keelanelli is used in Indian medicine for curing various problems in the stomach, liver, kidney. The whole plant is used as medicine, including its roots, leaves, and fruits. The fruits are useful for the treatment of tubercular ulcers, wounds, sores, scabies and ringworm. The fresh leaf believed to be an excellent remedy for jaundice. Add some cardamom to keelanelli leaves, along with a spoon of turmeric powder. Add an onion to it and grind the mixture. Mix this with a glass of milk or buttermilk and consume it twice a day – morning (on empty stomach) and night. Grind keelanelli root with 2 teaspoons of gingelly (sesame) oil, along with cumin and milk. This paste can be applied to the head to gradually reduce fever. Add pepper to 30 grams of keelanelli leaves. Boil it with 3 cups of water until the liquid is reduced to 1 cup. Consumption of this juice will help to heal burns of the skin. Keelanelli has gained worldwide popularity due to its effect against Hepatitis-B. It is an important plant in Indian medicine, and it has also been used in Brazil and Peru as a herbal remedy for kidney stones. One of the herbal plants in pharmacology is meniran. Stimuno for toddlers/children and adults there are contraindications, do not expect to be drunk by pregnant women, breastfeeding women, patients with hypersensitivity against meniran plants (Phyllanthus niruri) and patients suffering from autoimmune diseases.